1. 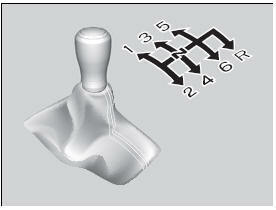 Depress the clutch pedal, move the shift lever all the way to the left, and shift to (R.
2. 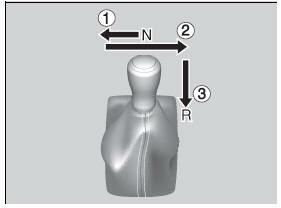 If you still cannot shift into (R, apply the parking brake, and turn the ignition switch to ACCESSORY or LOCK . 3. Depress the clutch pedal and shift into (R.